of your own creative self." 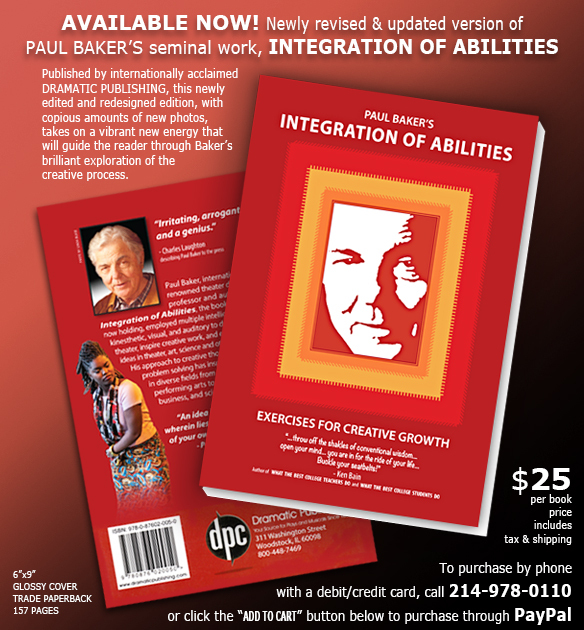 Paul Baker, internationally renowned theater director, professor and author of The Integration of Abilities, employed multiple intelligences - visual, auditory and kinesthetic - to create theater, inspire creative work, and investigate ideas whether they were theater related or otherwise. His approach to creative thought and problem solving has inspired entrepreneurial leaders in diverse fields from the arts to education to business and science. The Baker Idea Institute is a home base for adults of all professions in an age where right-brain thinking is becoming more and more necessary to compete in the global marketplace and to educate youth.